What to Look for in a Condominium Manager - Advanced Management Inc. Working with a professional condominium manager takes a lot of strain off real estate owners and condominium boards. However, this is only true when you choose the right manager. From maintenance to budgeting to working with tenants, your condominium manager will likely have a hand in just about every aspect of running the property. There’s certainly no shortage of management companies, and choosing the right one can be a challenge. Here are a few qualities to look for when you’re planning to hire a property manager. A Thorough Understanding of Condominium Law and Governance. There are a number of laws and regulations that apply to condominium associations, and it’s important that your manager be well aware of them all. You need someone you can trust to limit your liability and manage the property within the bounds of the law. Basic Accounting Knowledge. Even if you aren’t planning to entrust all of your finances to your property manager, it’s important that they have at least basic accounting knowledge. Most importantly, the manager should know how to put together – and stick to – a simple budget. Knowledge of Building Construction and Maintenance. A basic understanding of how buildings are built and what type of maintenance is necessary goes a long way. Hiring someone who understands what needs to be done to keep buildings in good condition can save you a lot of money on future repairs. This knowledge will also help your manager assess whether a contractor or other service provider is taking the proper steps when maintaining or repairing the property. Excellent People Skills. A good property manager needs to be assertive and eager to work with people. Shyness doesn’t work in this field! Your manager will likely be a point of contact between you and your tenants, and he or she will also be responsible for running meetings, mediating complains and much more. Hiring someone who is good with people is an absolute must! 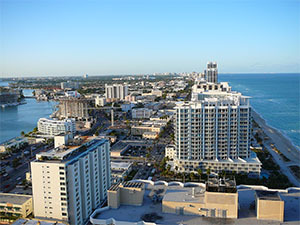 At AMI, we’ve been providing excellent condominium management in Sarasota FL for several years. Our Southwest Florida condominium managers are trustworthy, and they’re passionate about providing only the best service for our clients.